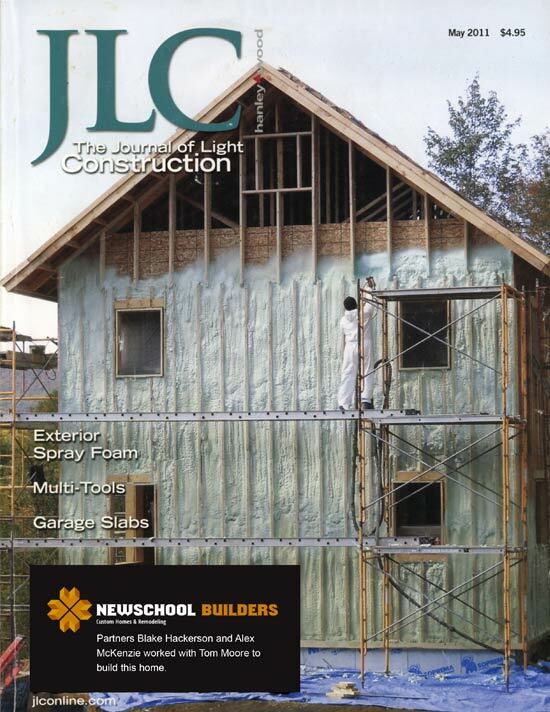 In January 2017, Fine Homebuilding Magazine featured a recent Newschool Builders Warren, VT project. 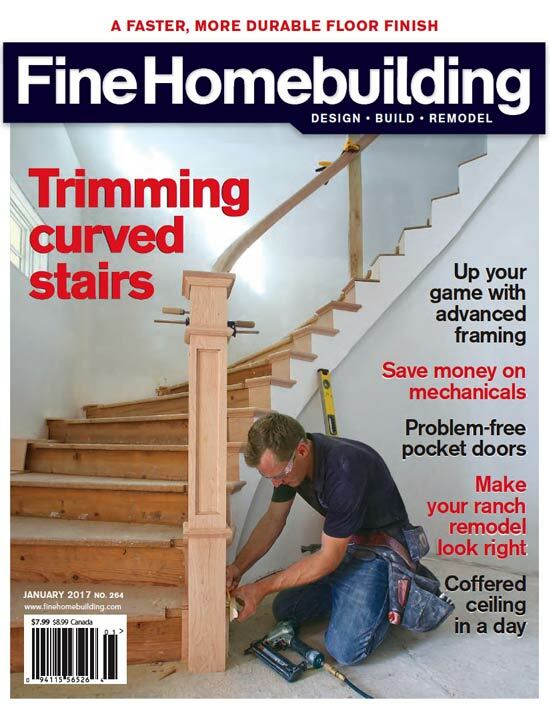 Titled Contemporary Farmhouse, the article describes energy efficient features and zero maintenance exterior. 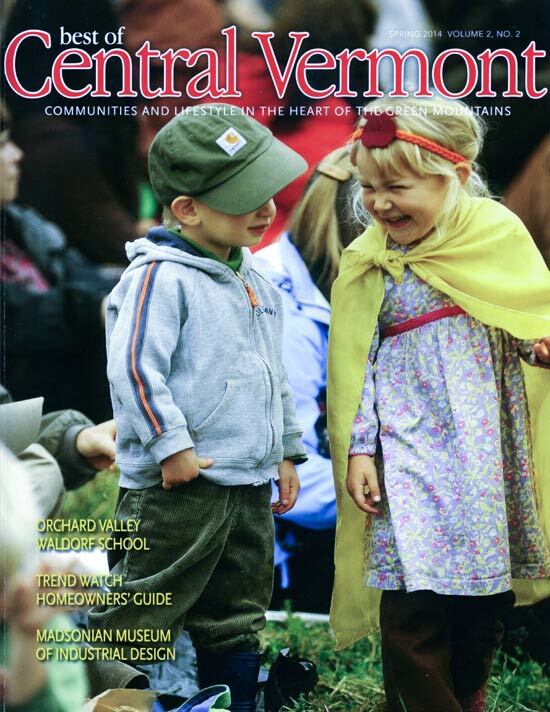 The Spring 2014 issue of Best of Central Vermont features an article on Newschool Builders’ award-winning home renovation in Fayston. 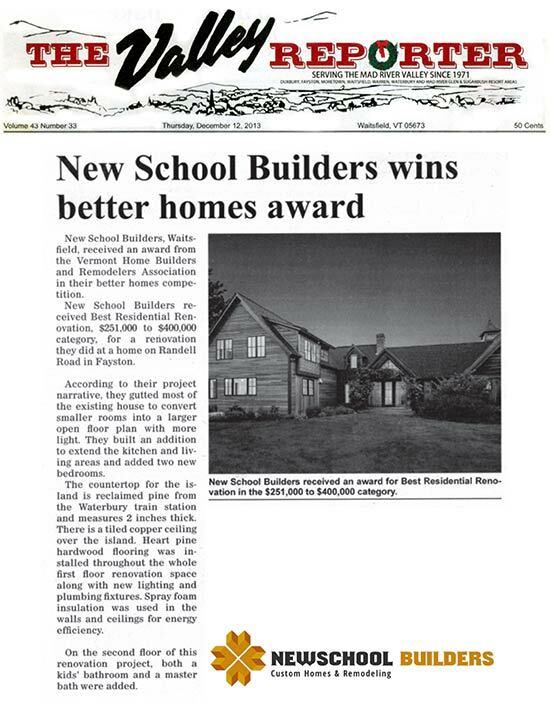 The Valley Reporter featured Newschool Builders 2014 Better Homes Award by the Home Builders and Remodelers Association of Northern Vermont. 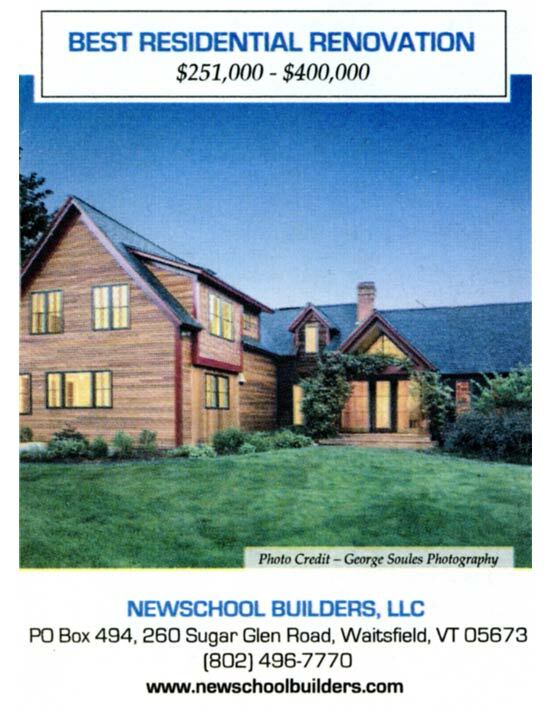 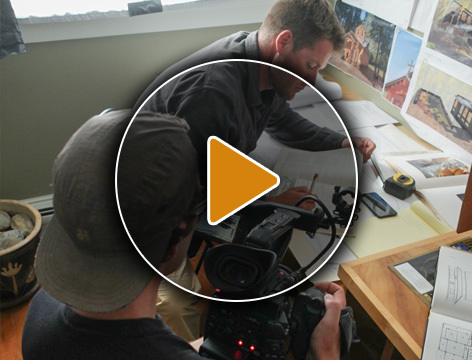 Newschool Builders was awarded the 2014 Best Residential Renovation $251,000 – $400,000 Better Homes Award by the Home Builders and Remodelers Association of Northern Vermont. 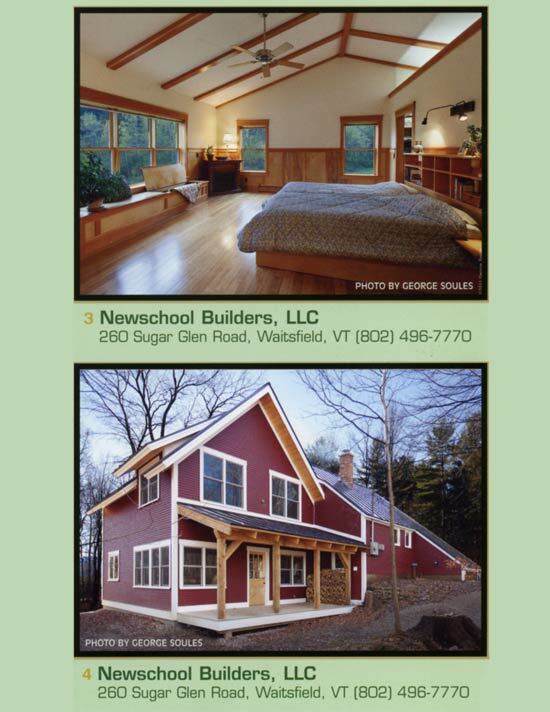 Two of Newschool Builders projects were nominated for the Home Builders & Remodelers Association of Northern Vermont 2012 Better Homes Awards in the category Residential Renovation Under $250,000.